The major ingredient of Cinnamomum, which is cinnamic aldehyde, has a variety of uses, such as aromatic compound, beverage, chewing gum, toothpaste, and incense as a component of cosmetics, and halitosis remover. Cinnamic aldehyde is also known to have a remedial effect. In this study, Cinnamomum is used to look for antibacterial activity on oral bacteria. A disk diffusion method is used as the current antimicrobial susceptibility test. Accordingly, this study used the disk diffusion method, wherein antibiotics are used to block the growth of bacteria in order to measure the antibacterial activity. As a result of measuring the antibacterial activity of Cinnamomum extract, Gingivalis and bacteria both appeared to have antibacterial activities. The antibacterial effects of Cinnamomum extract were proven by the disk diffusion method. Therefore, it can be suggested that using Cinnamomum verum as a natural remedy is effective on several oral diseases, including dental caries, and can be used as a substitute for other existing chemicals. Anti-bacterial agents, Cinnamomum zeylanicum, Communicable diseases, Streptococcus mutans. Cinnamomum is from cinnamon’s desiccated hull and it is used as an herbal medicine to treat headache, fever, cold, neurogenic heart palpitation, and constipation in Chinese medicine. Various studies have been conducted with regard to the bioactive components of the Cinnamomum (e.g., antibiotic effect, desmutagenic effect, anti-cancer effect, and antiallergenic effect, among others) . Recently, the natural extract of Cinnamomum is widely used in studies . There is an increased interest on natural materials, and there are many reports made on the antibiotic properties of spice extracts, such as garlic, onion, myristica, horseradish, and dried clove buds. In addition, pectin hydrolysate, organic acid, and fatty acid are reported as natural antibiotic materials . Chemistry products for the inhibition of oral bacteria are mostly used as antibacterials and antibiotics. However, antibiotics can be harmful on the human body, as resistant bacteria and side effects, such as microbial substitution, may develop from prolonged use of antibiotics. Therefore, the use of antibiotics to prevent oral infectious diseases and oral bacteria is not recommended. Moreover, using powerful chemicals (e.g., mouthwash) to cleanse the mouth will remove the normal flora in the oral cavity, so the use of natural extracts, instead of chemicals, to inhibit pathogen and maintain a healthy oral flora is essential [4,5]. Essential oils from natural plants play a role in medical treatment. They are used in foreign countries as traditional medicine due to their antibiotic, anti-inflammatory, and antifungal effects . The Cinnamomum hot water extracts and methane extracts in Cinnamomum essential oil have impeding antibacterial function, and cinnamic aldehyde is famous for its ability to impede the action of Streptococcus mutans, thereby resulting in an effective prevention of dental caries [7-10]. Cinnamomum’s antibacterial effect on oral bacteria has also been reported. The antibiotic effects of Cinnamomum on oral bacteria also have medicinal benefits on the treatment of other dental diseases, and adduced actual baseline data on oral infectious disease and medicine. The purpose of this study is to evaluate the antibacterial activity of Cinnamomum on oral bacteria using a disk diffusion method. This study used an antimicrobial susceptibility test in order to find antibacterial activities of cinnamon on oral pathogens. A higher susceptibility of antimicrobial effect inhibits the creation of bacteria. Add 80% ethanol in comminute Cinnamomum twice its weight after getting the ethanol extract by using a rotary vacuum evaporator. For measuring the antibacterial activity, use Streptococcus mutans KCTC 3065 (brain heart infusion; BHI agar, 37), Streptococcus sanguis KCTC 3284 (tryptic soy broth, TSB agar, 37), and Streptococcus sanguinis KACC 11301 (nutrient agar, NA, 37) on cavity-inducing bacteria, and use Bacillus cereus ATCC 14579 (nutrient agar, NA, 37), Staphylococcus aureus CCARM 3090 (Luria-Bertani agar, LA, 37), and Escherichia coli ATCC 10798 (Luria-Bertani agar, LA, 37) on normal bacteria. The paper disc method was used in order to assess the antibacterial effect of Cinnamomum extract by using a Cinnamomum extract on a 15 mg/disk. At 37°C, each of the bacteria’s best culture condition was cultivated in 24 h and measured for antibacterial activity based on the diameter of the clear zone. As a result of measuring the antibacterial activity of Cinnamomum extract, both the Gingivalis and bacteria exhibited antibacterial activities. In a 15 mg/disk concentration, the S. mutans, S. sanguis, and S. sanguinis showed inhibition zones of 5 mm, 5 mm, and 4 mm, respectively, while B. cereus, S. aureus, and E. coli showed inhibition zones of 13 mm, 12 mm, and 20 mm, respectively, thereby proving to have antibacterial activities (Figures 1-6). 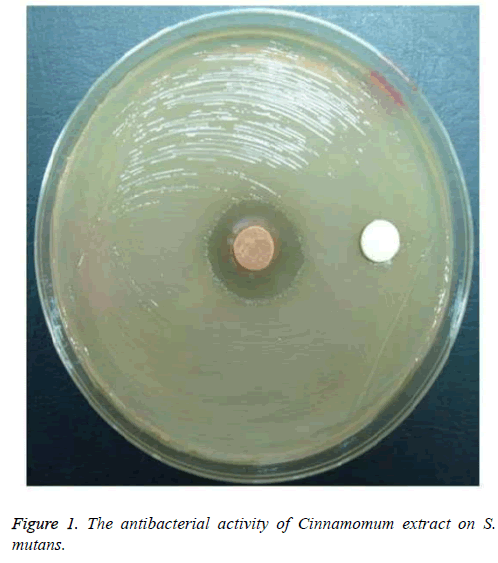 Figure 1: The antibacterial activity of Cinnamomum extract on S. mutans. Figure 2: The antibacterial activity of Cinnamomum extract on S. sanguis. 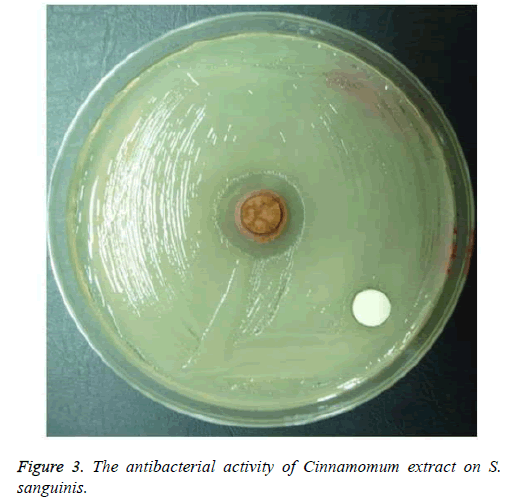 Figure 3: The antibacterial activity of Cinnamomum extract on S. sanguinis. 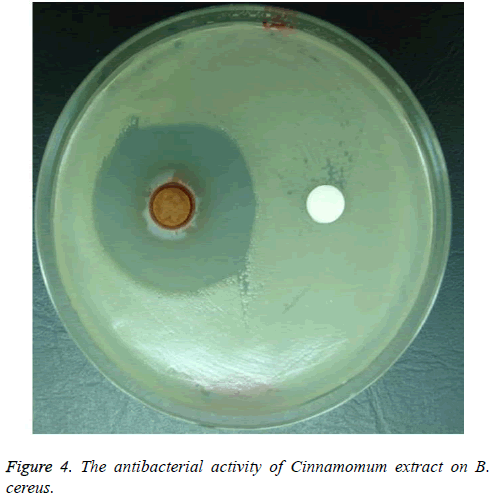 Figure 4: The antibacterial activity of Cinnamomum extract on B. cereus. 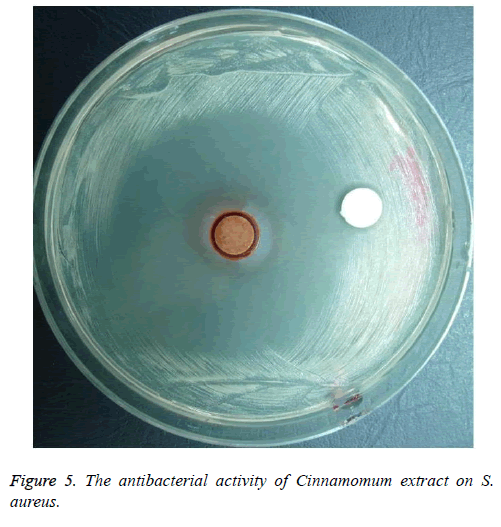 Figure 5: The antibacterial activity of Cinnamomum extract on S. aureus. 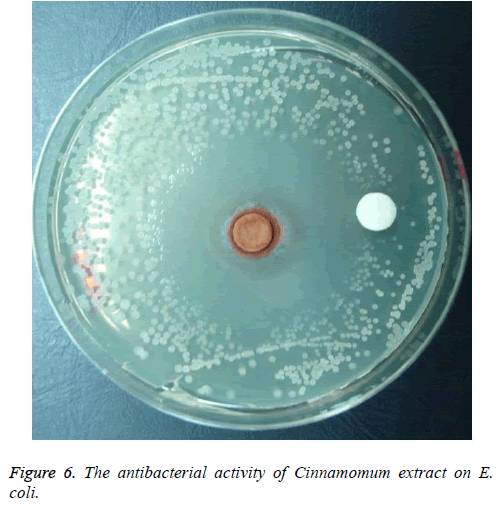 Figure 6: The antibacterial activity of Cinnamomum extract on E. coli. Dental caries is a tooth erosion phenomenon brought about by the acid production from glucose intake, thereby causing the bacteria to adhere to the tooth . Dental caries is easily treated at the beginning, but will require more treatment to the dentin and pulp when dental hygiene has been neglected. The study associated with the anti-bacterial effect of Cinnamomum verum was incomplete. Cinnamomum verum was used as food additive and an ingredient of Chinese medicine. Therefore, further research should be conducted on the development of Cinnamomum verum with regard to its oral antimicrobial effects and absence of any side effect. This study used Cinnamomum verum extract to assess its antibacterial effect on cariogenic Streptococcus, and the advanced research was only conducted on S. mutans, as well as other research on viruses that generate periodontal disease. For this reason, this study required Cinnamomum verum extract to be used on several viruses, which have been known to cause dental caries, and further research on its anti-bacterial effect is deemed necessary. In conclusion, the results showed an inhibition zone of 5 mm in 15 mg/disk with periodontitis (S. mutans, S. sanguis, and S. sanguinis), while E. coli showed the biggest inhibition zone of 20 mm in the same concentration with periodontitis (B. cereus, S. areus, and E. coli) and antibacterial activity. Scutellaria baicalensis Georgi extract had anti-bacterial and adhesion inhibition on S. mutans . Meanwhile, Lee et al. reported that the extracts of Lonicera japonica and Coptis chinensis have anti-bacterial effects on Staphylococcus aureus , and  reported that herbal medicines with Dryopteris crassirhizoma extract have anti-bacterial effects on S. mutans. The antibacterial effects of Cinnamomum extract were proven by the disk diffusion method. Therefore, it can be suggested that using Cinnamomum verum as a natural remedy is effective on several oral diseases, including dental caries, and can be used as a substitute for other existing chemicals. We affirm that we have no financial affiliation or involvement with any commercial organization with direct financial interest in the subject or the materials discussed in this manuscript, nor have any such arrangements existed in the past three years. Kim IR, Eom TW. Theological study on pharmacological effects of extracts and essential oil from various parts of Cinnamomum cassia. Res Inst Ori Med 2003; 7: 33-39. Ahn JY, Lee SS, Kang HY. Biological Activities of essential oil from Chamaecyparis obtusa. J Soc Cosmet Sci Korea 2004; 30: 503-507. Yang JY, Han JH, Kang HR, Hwang MK, Lee JW. Antimicrobial effect of mustard, cinnamon, Japanese pepper and horseradish. J Food Hyg Saf 2001; 16: 37-40. Lawless J. The illustrated encyclopedia of essential oils: The complete guide to the use of oils in aromatherapy & herbalism. Element Books Ltd., Shaftesbury, United Kingdom, 1995. Lis-Balchin M. Essential oils and aromatherapy: their modern role in healing. J R Soc Health 1997; 117: 324-329. Pisseri F, Bertoli A, Pistelli L. Essential oils in medicine: principles of therapy. Parassitologia 2008; 50: 89-91. Kiuchi F, Hioki M, Nakamura N, Miyashita N, Tsuda Y, Kondo K. Screening of crude drugs used in Sri Lanka for nematocidal activity on the larva of Toxocara canis. Shoyakugaku Zasshi 1989; 43: 288-293. Kiuchi F, Hioki M, Nakamura N, Miyashita N, Tsuda Y, Kondo K. Screening of crude drugs used in Sri Lanka for nematocidal activity on the larva of Toxocara canis. Shoyakugaku Zasshi 1989; 43: 353. Kiuchi F, Hioki M., Nakamura N, Miyashita N, Tsuda Y, Kondo K. Screening of crude drugs used in Sri Lanka for nematocidal activity on the larva of Toxocara canis. Shoyakugaku Zasshi 1989; 43: 183. Kiuchi F, Hioki M., Nakamura N, Miyashita N, Tsuda Y, Kondo K. Screening of crude drugs used in Sri Lanka for nematocidal activity on the larva of Toxocara canis. Shoyakugaku Zasshi 1989; 43: 294. Lee SH, Kim JM, Kim S, Jeong TS. Anticariogenic effect of fluoride varnishes and Chlorhexidine varnishes. J Korean Acad Pediatr Dent 2008; 35: 83-91. Paek JY, Kim YH, Kwon HJ, Kim EN, Kim WJ, Han M D. Effects of antibacteria and adhesive inhibition of Scutellaria baicalensis extract on Streptococcus mutans. J Dent Hyg Sci 2008; 8: 367-373. Lee SJ, Lee MJ, Jung JE. Antimicrobial effects of fermented Coptidis rhizoma and Lonicerae flos against pathogen. J Korean Med Obes Res 2011; 11: 35-46. Baek DH. Screening of antimicrobial activity among the therapeutic herbal extracts on dental pathogens. Int J Oral Biol 2007; 32: 75-78.